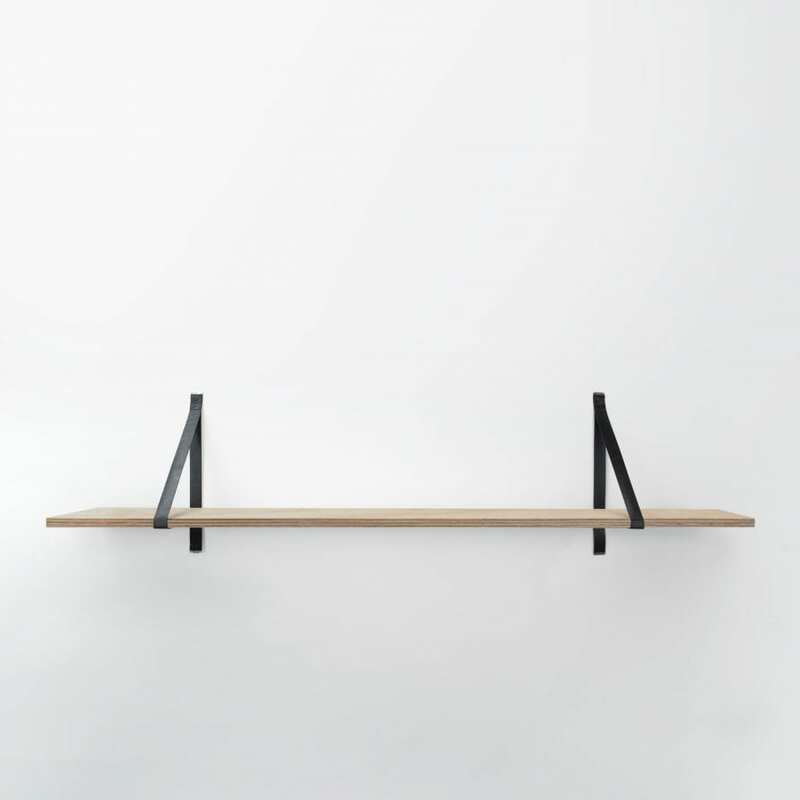 The Leather Single Shelf in Black is Part of Lightly’s Assemblages collection which harks back to Australia in the early 1900s and the utilitarian resourcefulness found in the lifestyle. It draws on the saddlery aesthetic: the artisan skill, the mix of leather girths and belt buckles. Sold as a single pair of belts with screws. Will hold approx 20kg. 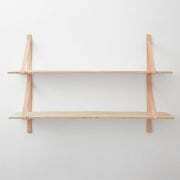 Available with one raw c/d grade plywood shelf. 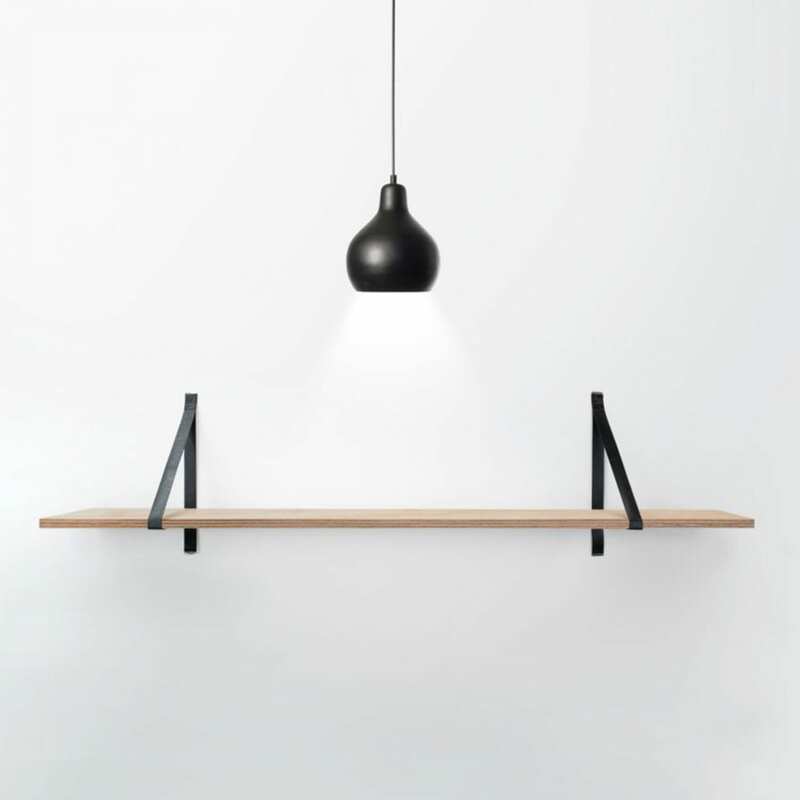 Designed by Cindy-Lee Davies for Lightly in 2012. Sold as a single pair of belts with screws. 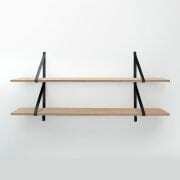 Will hold approx 20kg.Available with one plywood shelf. 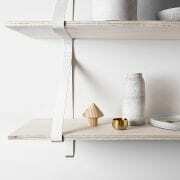 Plywood shelf is made to order, c/d grade. Made from painted leather. Any stains/markings that occur need to be cleaned promptly with leather shampoo (for black leather) before it penetrates deeper into the surface. Follow the leather shampoo instructions. Gentle bloat surface, do not rub as this can worsen the stain and cause spreading.